After a successful career running a water treatment business Denise naturally gravitated toward a consultation career and started ShedWater LLC. She continues to coach and consult and is once again eagerly growing a business. As the national representative of Ecosoft Professional Products, she is excited by the opportunity to introduce new products into the marketplace. Denise’s 27 years of business ownership in the high purity and industrial water treatment industry make her uniquely qualified as an advisor to business owners and executives who want to grow, exit or increase the value of a business. Denise has experience in acquisitions and integration of combined business entities. She served as President of the Water Quality Association (WQA) and built an impeccable reputation with many executive level relationships in the industry. Denise Urbans was founder and president of Res-Kem Corp. a leading supplier of water treatment equipment, parts and services, and General Water Services Corp.,the mid-Atlantic’s second largest supplier of portable exchange equipment (SDI). Res-Kem and General Water were acquired by Nalco, an Ecolab company, in 2010. She stayed on with the company until 2013. After her company was acquired, Denise held a key executive position while working to integrate her former company into a Fortune 500 company. Denise understands the operational differences between large and small businesses. This is critical information for small businesses wanting to increase sales to large business customers. 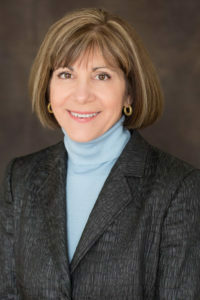 Denise was the first female president of WQA https://www.wqa.org/ and is a member of the WQA Hall of Fame and a past recipient of the Regents Award . WQA is the leading industry trade group. Denise continues to be among its most active members. She actively participates with the Water Quality Research Foundation (https://www.wqa.org/WQRF), an independent research foundation and is a former board member of the Delaware Valley Industrial Regional Council (DVIRC-http://www.dvirc.org/). DVIRC is an economic development organization committed to assisting small and medium-sized manufacturing enterprises compete and grow in the global economy.